Does Physical Therapy Help Fractures? Whether a patient is a child with a sports injury, a senior injured by a fall or anyone in between, the goal when recovering from a broken bone is to regain strength and movement and avoid reinjury. This is why physical therapy following a fracture is so essential, with a focus on building up to normal activities safely through a gradually more challenging program. Here’s some useful information on how physical therapy can help and what patients can expect. What Types Of Fractures Can Physical Therapy Treat? Wrist fractures: according to the American Physical Therapy Association, one out of 10 broken bones in the U.S. is a wrist fracture! This usually happens because of our natural tendency to put our hands out when we fall. Wrist fractures can occur in the small carpal bones of the hand or the two larger forearm bones, but we mostly see them in the larger radius bone of the forearm. Elbow fracture involves a full or partial break in the bones near the elbow joint and according to the APTA is most often seen in children through sports or play-related injuries. Ankle fracture involves a complete or partially broken bone on one or both sides of the ankle joint. As with elbow and wrist fractures, physical therapy can help both before and after a cast is removed and whether surgery is required or not. A femoral fracture is a break to the femur or thigh bone (sometimes called a hip fracture when close to the hip joint). This usually requires surgery and often involves hardware like pins, plates, rods and screws, so physical therapy is key to getting back the ability to walk and avoiding re-injury. Pelvic fracture (also called a hip fracture) involves a break in the pelvis bone. According to the APTA, pelvis fractures are often caused by motor vehicle accidents, sports activities in younger patients and falls in the elderly. In all of these cases, regaining strength is key to restoring stability and being able to walk, play and return to daily activities. What Types Of Therapy Can Help With Fractures? With ankle, wrist and elbow fractures, your therapist’s first role is often helping you adapt to life in a cast or sling. Then when that support is removed, the focus will shift to range of motion and activities that strengthen including resistance bands and weights. In the case of a hip fracture, your physical therapy often begins before you can walk with lying and seated exercise. As you heal, you’ll move on to walking, stairs and exercise equipment like free weights, a treadmill or stationary bicycle. Many therapists focus on exercises that boost core strength in the case of a hip fracture, giving the patient increased stability and helping them improve balance and gait. With an ankle fracture, your therapist will start out by helping you learn to use crutches or another assistive device. Once your cast is removed, your therapist will start range of motion exercises and will help with gait training so you can be mindful of your walking patterns to avoid re-injury. With all PT programs, the idea is to increase intensity as you regain strength. For example, with a wrist fracture, you may start with direct, hands-on range of motion exercises that involve your therapist manipulating your joint and then move on to targeted activities like weights and therapy bands. How Often Does Physical Therapy For Fractures Take? The length and number of treatments depend on many factors, including the severity and location of the injury and the patient’s age and overall health. According to the APTA, it often takes a patient 12 to 16 weeks to be fully cleared for normal activities. However, the process can take longer in some cases. What Can I Expect From A Physical Therapy Session For A Fracture? Your physical therapist will start out with an assessment and note any special instructions from your doctor. You’ll often start with gentle, passive range of motion exercises with help from your therapist and then move on to the more active range of motion and strengthening exercises using weights, bands, balls and other equipment. One of the most important concepts in physical therapy is the gradual increase in intensity as the patient heals and helping them achieve their goals. In the case of a senior with a hip fracture, the goal may only be walking and getting back to daily activities, while in the case of an athlete, the goal may be resuming their sport and avoiding re-injury with a sport-specific program. 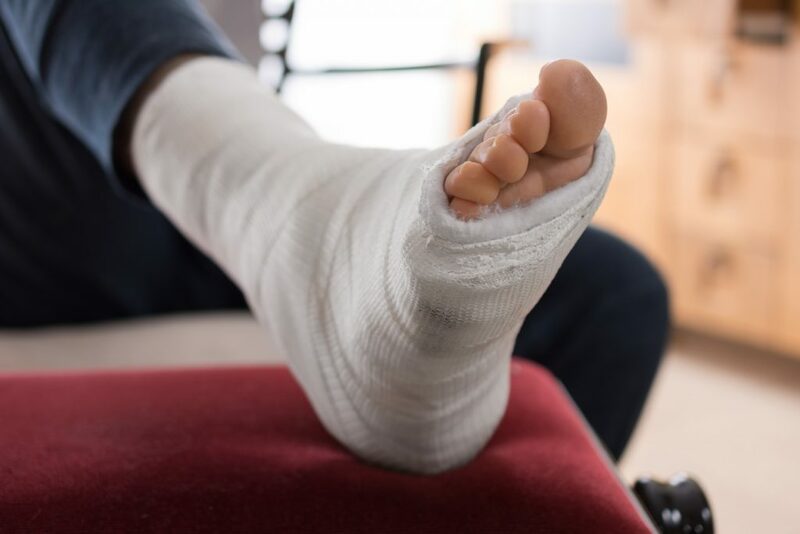 A fracture can be a setback at any age, but whether the patient is young or old, the goal is to make sure the break heals quickly and correctly and to help patients avoid re-injury. Physical therapy is an integral part of the healing process and can help you get back to doing what you love–whether it’s baseball or baking!